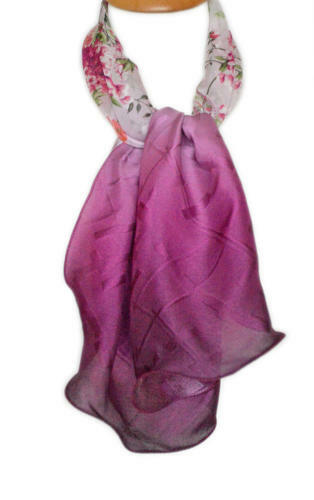 A light weight floaty silk scarf. A chic and elegant accessory to complement this season’s look. Each scarf is finished off with a machine stitched hem. Wash/Care Instruction: Hand wash cold separately or Professional Dry Clean recommended.